GRAPELAND – The Grapeland Noon Lions Club met on Thursday, March 16 and took care of some internal matters as well as planning new projects. “Vulcraft is going to assist us in building the metal part for the seesaws and they will donate it as long as we buy the boards and probably the Sakrete for the six seesaws for the (Grapeland) Housing Authority. This is one of the benefits of buildings those seesaws in the City Park,” Lions Club President Ben Childress said. The next topic addressed by Childress concerned providing a $100 donation to Canine Companions for Independence. The organization is a “… non-profit organization that enhances the lives of people with disabilities by providing highly trained assistance dogs and ongoing support to ensure quality partnerships,” the group’s website states. The donation was unanimously approved. 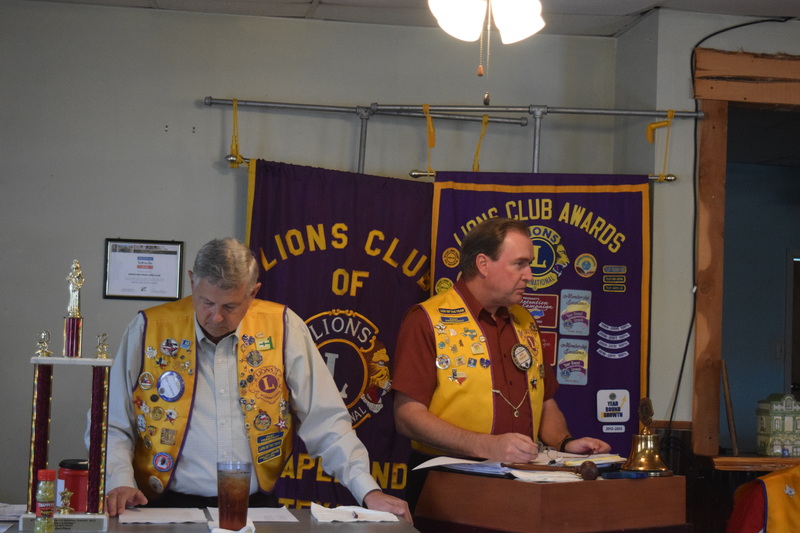 Brief discussions were held about the upcoming workday at the Lions Camp in Kerrville and a change in the date of the Lions Golf Tournament. The date was changed from May 13 to June 3. As the meeting continued Lion Mike Goolsby reported the Nominating Committee had put together a list of officer nominees for the upcoming year. The nominees were: LCIF Coordinator – Eddie Childress; Chaplain – Edmund Franke; Reporter – Will Johnson; Membership Chairman – Ben Childress; Lion Tamer – Terry Hollister; Tail Twisters – Dianne Hollister and Harry Pridgen; Treasurer – Allen Cheatham; Secretary – Laura Walling; Second Vice President – Tim Howard; First Vice President – Justin Lumbreraz; and President – Mike Goolsby. The ballots were cast and the slate of officers were elected as presented. Before the meeting was adjourned, Sonny Tunstall was tentatively approved for membership in the club pending submission of a completed application.